(TibetanReview.net, Jan14, 2017) – In a deal reached with the city authorities, Tibetans and their supporters in Switzerland will hold a demonstration in capital Bern on Jan 15, concluding the event just before the arrival of Chinese President Xi Jinping for a state visit, reported thelocal.ch Jan 12. The protest will take place on Waisenhausplatz, the capital’s city centre, from 10am to midday, just when the Chinese delegation arrives. The report cited Reto Nause, the city councillor responsible for security in Bern, as saying his decision took into account the need to respect freedom of expression and the importance of ensuring security during the visit. This will be the first visit to Switzerland by a Chinese president in 18 years, the report said, adding it was being seen as hugely important by business leaders in the country. The last time a Chinese president visited Switzerland was in 1999, when Jiang Zemin, angered by Tibetans demonstrating in the capital, scolded the Swiss authorities. At that time, demonstrators took to roofs overlooking the Swiss parliament with banners demanding “Free Tibet”. Jiang questioned Swiss leaders’ control over their country and remarked that they risked “losing a good friend”. This time, the area around the Swiss parliament building will be closed off from Jan 15 morning to Jan 16 afternoon, reported Reuters Jan 13. The Tibetan protest site is located in a square about three blocks from parliament. The report cited Nause as saying, “I expect that members of the (Tibetan) community will stick to this agreement, which we reached after intense but constructive dialogue,” referring to the site and duration of the protest. Amnesty International has criticized the tight restriction on protest. “Bern’s decision to only allow a demonstration away from the view of the Chinese delegation must be viewed as a critical restriction on free speech and assembly rights,” Reuters quoted it as saying in a statement. The thelocal.ch report said Xi and his wife will be welcomed by Swiss President Doris Leuthard on Jan 15 evening with official speeches and a gala dinner, before talks between the Swiss and Chinese delegation begin the next day. The report cited the government as saying the issue of human rights will also be discussed. It noted that China had been Switzerland’s most important trading partner in Asia since 2010. The two countries signed a free trade agreement in 2014 and Swiss companies count China among their most important markets. In Apr 2016, the then-Swiss President Johann Schneider-Ammann visited China, during which the two countries’ bilateral relations were packaged into a strategic partnership that the Swiss government says has “brought a new dimension and new dynamism to Sino-Swiss relations”. 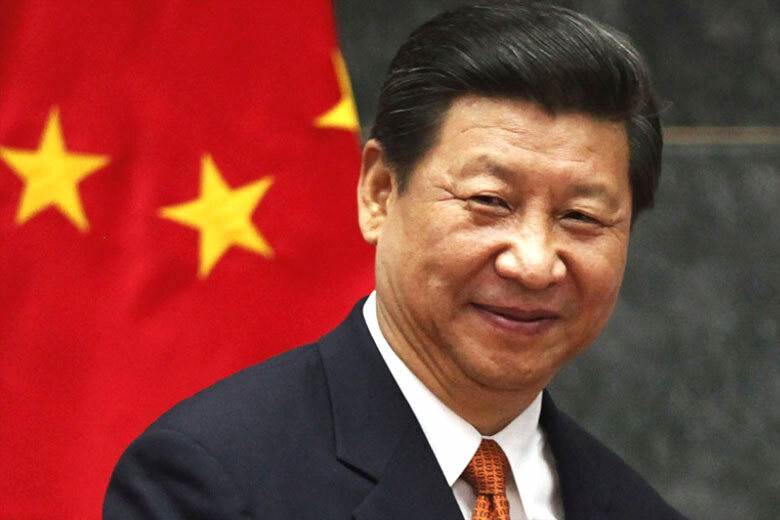 Xi’s visit is timed for the World Economic Forum to be held in Davos next week. Apart from Davos, Xi will visit and spend time in Lausanne and Geneva, the report added.